We are obsessed with Katarina Pridavkova‘s sculpture project called Grow Up. I would watch a movie that takes place in this little town – wouldn’t you? 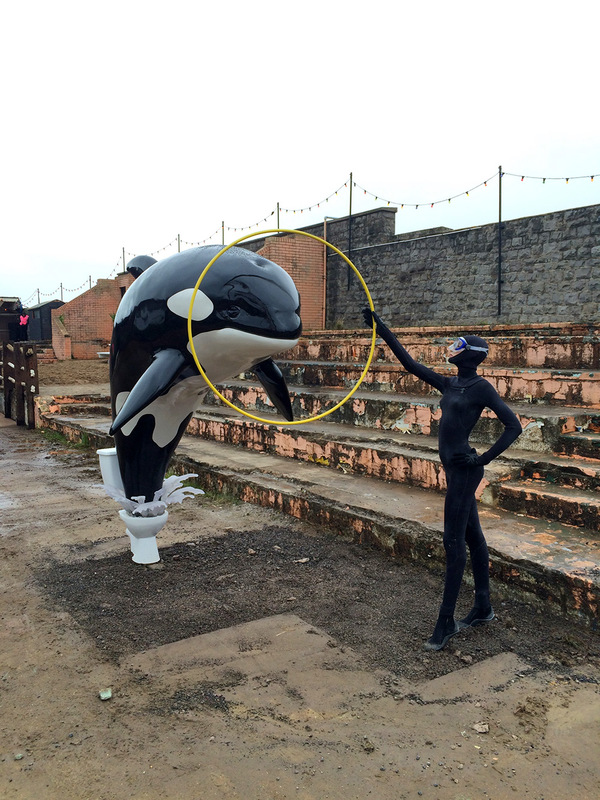 Banksy’s Dismaland looks amazing – let’s take a trip soon, Kimberly? Speaking of amusement parks, we should also stop by this underground amusement park in Transylvania while we’re in Europe! Are you trying to squeeze in some final summer reading? Compare your list to President Obama’s! He’s got some really good ones on his list! Haruki Murakami’s posted photos of his office space – I’m not surprised to see thousands of records. Learning the alphabet gave you night terrors, and even now you have a deep seated fear of being mauled by a bear. 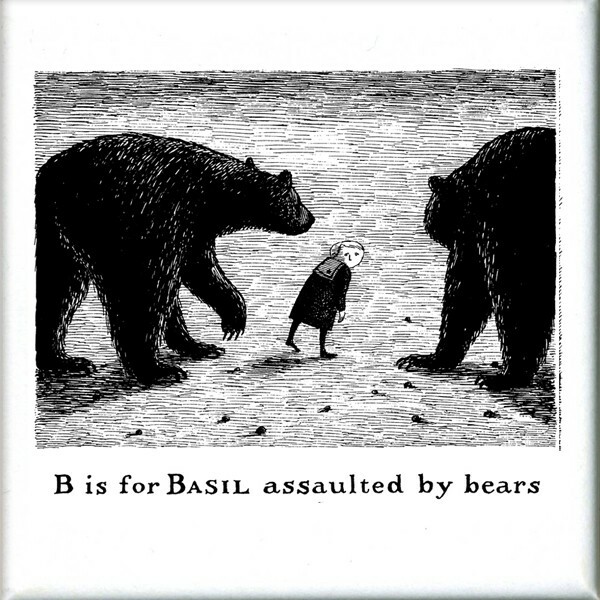 How to Tell if You’re in an Edward Gorey Book – we love this entire series! 1. To realize the pattern of ruin plaguing your life is not a result of chronic bad luck, but poor foresight and compulsive self-destruction. 2. There’s a bat in your hair! Get it out! I have bookmarked The Dictionary of Guttural Screams to help me describe my Mondays. 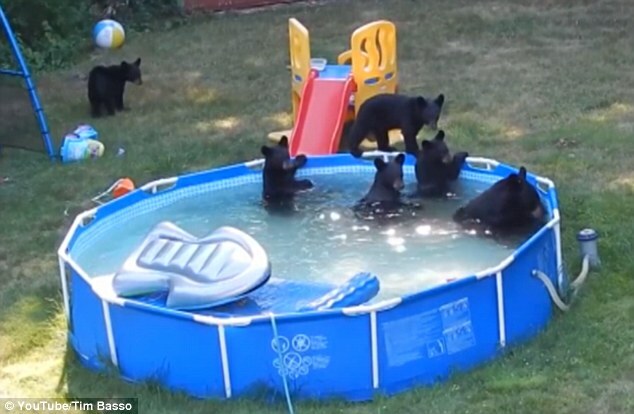 And finally, we hope your weekend is as lovely as this bear family playing in a pool!